Chinese New Year is coming. 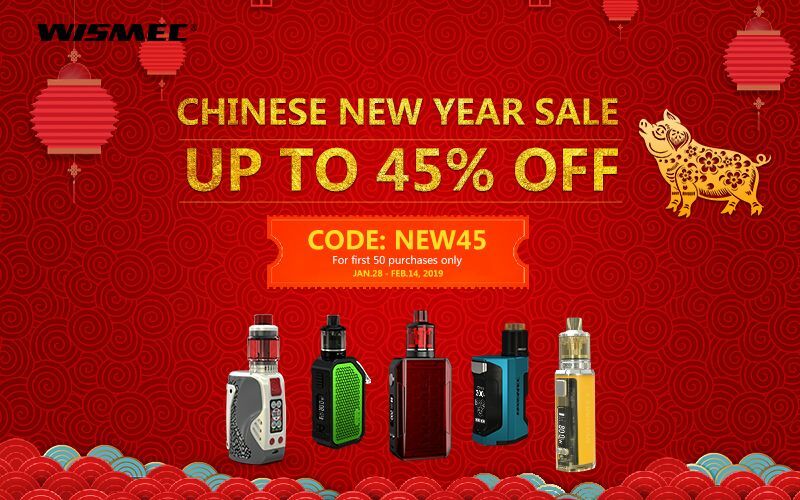 To thank for your continued support of Wismec, we have prepared some great offers for you! 1. 50 coupons up to 45% off discount will be available on all products on the site. Save your coupon code and get ready for the deal: NEW45. Note: coupon is not applicable to combine with other promotion and on sale products. 2. 4 selected items will be released with 20% off discount in limited time. May the new year bring you warmth, love and light to guide your path to a positive destination.